If you’re searching for a family eye doctor in Downtown or South Tulsa, Harrel Eyecare is a great place to turn. 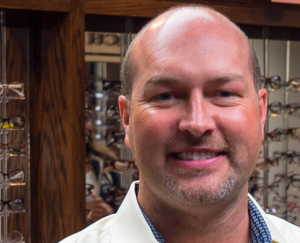 At Harrel Eyecare, each member of our vision care team is selected by Dr. Monte Harrel based upon his or her experience, professional demeanor, and dedication to providing personalized care to our optometry patients. Our entire Tulsa optometry staff is committed to ensuring the comfort and satisfaction of each and every patient. We will do our best to accommodate your busy schedule by finding appointment times that meet your needs. Our knowledgeable staff at Harrel Eyecare will work with you to help you understand your vision insurance coverage and provide financial alternatives to ensure you get the best vision care possible. We operate three eyecare centers in the Tulsa metro area. These are located Downtown, Midtown and in South Tulsa. No matter which office you choose for your eyecare needs, you can expect our Tulsa optometry team to make your comfort and satisfaction a top priority. We do our best to accommodate your busy schedule, not only by operating from three convenient locations, but also by booking appointments at flexible times to meet your needs. Our knowledgeable staff at Harrel Eyecare works closely with every patient to clarify questions about vision insurance coverage and provide financial alternatives if needed. Our goal is to ensure everyone can afford the best vision care possible!